Fresh from the oven – Beer Bread Bowls. I tried this particular recipe last year, but keen to adapt recipe and in keeping with my sudden preoccupation of baking with beer, I wanted to try this recipe to make beer bread bowls, specifically to be served with scouse. I use quite a bit of Sam Smiths beers in baking as their fruit beers give great taste to the likes of ice cream & brownies and their other beers have a strong defined taste that is perfect for stews and bread. The oatmeal stout I decided to use has a definite oaty aroma and I thought it would be perfect for bread. This time the dough seemed to work better than my first attempt last year and they worked well. I now have ideas to make these bowls as a fruit bread then filling them with custard..mmmm..
1) Preheat the oven to 250˚C (500˚F). Mix together the flour and semolina and rub in the yeast as if you were making a crumble (Richard Bertinet’s method – see below for video link). If using a mixer, switch it on to the slowest speed, add salt, olive oil and beer and mix for 2 minutes, then turn the speed up to the next lowest speed and mix for 6 to 7 minutes until the dough becomes smooth and elastic. 2) If you are kneading by hand, knead for approximately 10 to 12 minutes or until you have a nice smooth elastic ball of dough. Richard Bertinet has a unique kneading technique referred to as the French fold that can take approximately 5 to 10 minutes depending on practice. 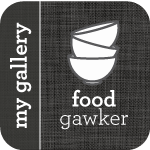 You can view his method in a online video at the Gourmet Webpage. In this video, he is actually doing sweet dough but the same technique can be used for most bread dough. 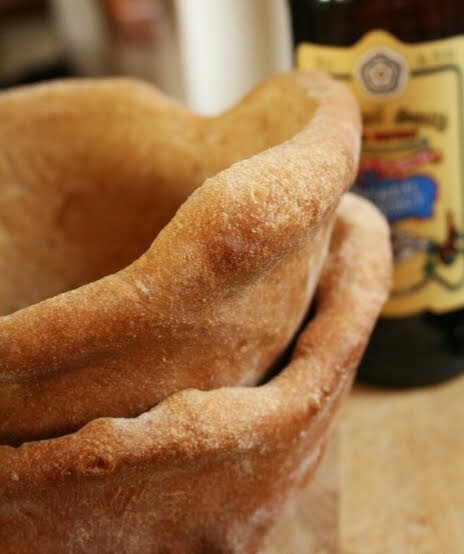 3) Place the dough into a bowl that has been floured, cover with a tea towel and leave in a draught free place for approximately 1 hour or until doubled in volume. 4) Lightly oil or spray with non-stick spray, the outside of 6 ovenproof bows (I used pyrex bowls). Turn the dough onto a lightly floured work surface and divide into 6 to 8 pieces (depending on the size of your baking bowls). Taking one piece of dough at a time and using a rolling pin, roll each piece into a circle (similar to making pizza). Shake off excess flour and shape each piece over an upturned bowl, patting into shape and pressing gently to remove air bubbles from between the dough and the bowl. Rest the dough for 10 minutes. Place the upturned bowls, two at a time, on a baking tray lined with parchment paper, then into the preheated oven. Turn the oven down to 200˚C (400˚F) and bake for 20 – 25 minutes. Remove from the oven and leave to cool for a few minutes. Using a fine-bladed knife, gently loosen the bread from the bowls and ease off. Cool on a wire rack. It is probably safer to serve the bowls on a plate, as they do become soggy after a while and the soup may leak through. …or maybe should that be Derbyshire. Pen is going to be so proud of me for fitting a musical connection into my blog post! For those who don’t follow me on Twitter you may not realise that Hubby & I are going to a Halloween Party as Sweeney Todd & Mrs Lovett. Going as Mrs Lovett seemed a natural choice for me – I know exactly how I can make the outfit with a few things I own and I make great pies…although I’m not scheming and as twisted as Mrs Lovett. For those who don’t know the story Mrs Lovett makes pies from Sweeney Todd’s victims. In the musical she sings a song called The Worst Pies in London and this has been my inspiration. 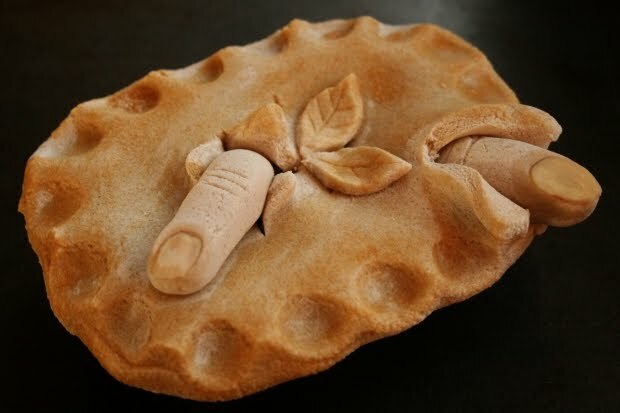 To accompany my Victorian Gothic costume I need just one essential prop – a really quite grusome pie. I would like to point out that although I can produce quite gross (albeit fake) pies, my kitchen is nothing like Mrs Lovett’s. My goodness Environmental Health would have a field day! To make my pie I decided to use a material I hadn’t used since I was a child – salt dough. I had forgotten how easy it is to make and was like working with pastry. To help with making the shape I used a small foil pie dish. This helped to support the dough as it was drying. The idea for the fingers was inspired by a Halloween shortbread recipe I had seen where the shortbread was rolled into fingers and flaked almonds were used as fingernails. I have to say they are almost too realistic for my liking. Please note, this pie is not edible. Well the dough wouldn’t do any major harm if accidentally eaten, but it won’t taste nice due to the massive salt content. If you wanted to make a similar gruesome top for a proper edible pie use shortcrust pastry. 1) Mix together flour, salt and water until you have a smooth dough. Cover in clingfilm and leave for 30 min. 2) Roll out the dough until no more than 5mm thick. Line a small pie dish as if you were making an edible pie. Trim off the excess pastry and roll this back into a ball. 3) Use a small amount of dough to make 2 finger sized sausages. Using a eating knife carefully make 3 impressions in each finger to show the knuckles. At one end of the sausage make a small impression then using a small amount of water push a flaked almond in the dough. This is the fingernail. 4) In the pie place a few balls of dough. These are only for making sure the lid of the pie doesn’t collapse. 5) Roll out the pastry again to around 5mm thickness and cut to the size of a lid. Make a few slits in the lid where the fingers can pop out. 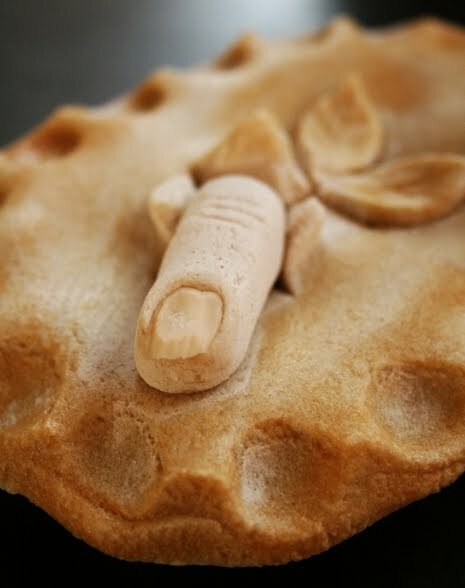 Place the lid on the top of the pie and arrange fingers and any other decoration you wish. Use a small amount of water to stick dough to dough. Pinch around the edges of a pie to make it look authentic. 6) Brush the pie, but not the fingers, with beaten egg. Bake at 100oc for 4-5 hours or until the pie sounds hollow on the bottom. If you hadn’t spotted I’m going through a bit of a retro/kitch baking phase at the moment. Recipes that were beginning to gather dust amongst the more radical baking recipes but have the ability stand the test of time are coming back. I don’t know if this is because time is precious right now and retro baking is almost instant gratification. In my books baking is therapy; taking me back to an innocent time when the biggest worry in my life was what to choose from the Woolworths pick’n’mix counter. 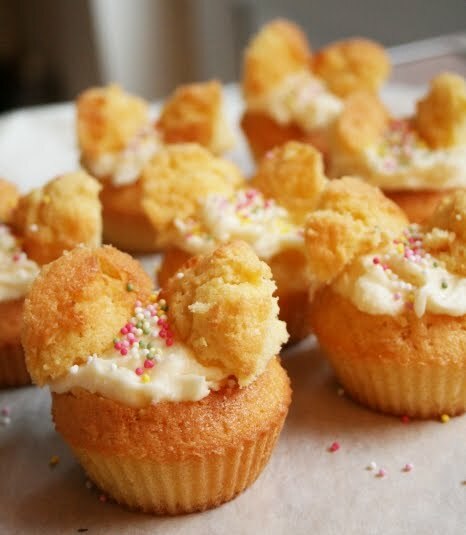 Just like jam tarts these Butterfly Cakes are probably what introduced people to baking when they were a child. Be it eating them at the school fete or baking them with mum. Given it is poorly timed National Baking Week these cakes were perfect to bake. I say poorly timed because some schools are on half term at the moment and the National Baking Week website is bigging up all of their teaching packs. I would have loved to have linked some of my teaching in with this week. The WI wouldn’t approve of these Butterfly Cake and they wouldn’t win any prizes in a village fete, why? Because hidden under the fluffy buttercream is a pool of raspberry jam. 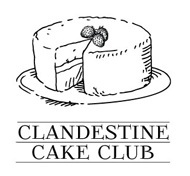 An ingredient that is banned by Butterfly Cake aficionados. Goodness I’m such a rebel! 1) Preheat oven to 190oc. Arrange cake cases in fairy cake tin. Beat together butter and vanilla sugar then one by one beat in the eggs. If the eggs begin to curdle stir in a small amount of the flour. 2) Into the bowl sift flour and custard then fold into the batter until ingredients are well combined. Half fill each cake case with the batter. 3) Bake for 15 min until risen and golden. Allow to cool on a wire rack. 4) To make the icing beat together the butter, icing sugar, vanilla extract and 1 tbsp of water until icing with light and fluffy. 5) Using a knife carefully cut the top off the cake then cut this small piece in half. 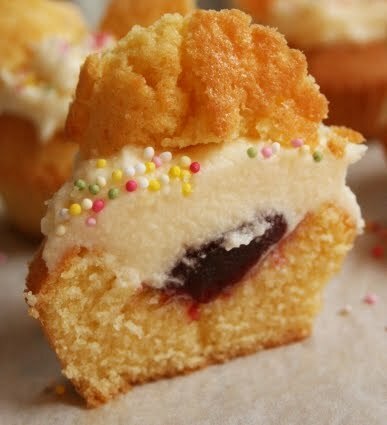 In the hole you have created spoon in 1/2 tsp of jam then cover with the buttercream. Place to 2 cake halves on top of the buttercream and arrange like butterfly wings. Decorate with hundreds & thousands. Since finding my holy grail of scone recipes in Grandma’s cookbook last year I have been playing around with the dough and flavours. My Cookery Kids have very successfully made scones with this recipe and Grandma even professed my scones to be far superior than any you can buy from the local bakeries. It’s been an age since I’ve made savory scones, but recently I was on a course and for elevenses they served chilli cheese scones. They were so delicious I wanted to have a go at making them at home. Whenever I bake scones it always brings up the age old argument between Hubby & I as to how you pronounce it. I sc-on-e, Hubby says sc-own-e. Of course I think I’m right! Now, the trick with scones is to not roll them out too thin. The thicker the dough, the more they will rise. 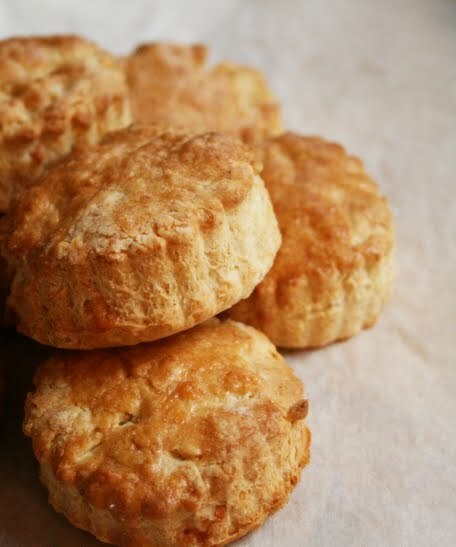 I can highly recommend eating these warm from the oven with a generous slather of butter. Yum, yum. If you wish you can replace the bicarb and cream of tartar with 1 1/2 tsp of baking powder. 1) Sieve the flour, bicarb and cream of tartar into a basin. Rub in the butter, add the chilli and cheese. Gradually stir in milk 1 tbsp at a time until you have a smooth dough. 2) Turn out onto a floured surface and roll until about 2cm thick. Cut into rounds and place on a baking sheet covered with baking parchment. Brush the top of each scone with beaten egg. Bake at 200oc until golden and firm. Cool on a wire rack. This pie has been in the planning for a while. To celebrate British Food Fortnight I knew I wanted to bake a traditional Derbyshire dish, ideally savory and with pasty. Inspiration came from the most random of places – the latest East Midlands National Trust newsletter. In the newsletter it mentioned the traditional Derbyshire Fidgety Pie. Not a pie I had heard of before, but gave me more of a challenge to try it. 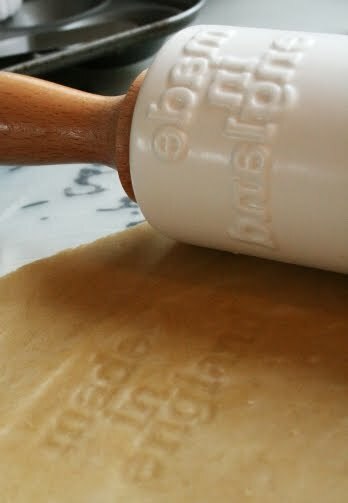 Another reason for wanting to use pastry was so I could use my Made in England rolling pin. I don’t use it as much as my wooden or marble rolling pin as it is quite delicate, but I love it! Hubby’s family originate from South Derbyshire where this pie has its roots. 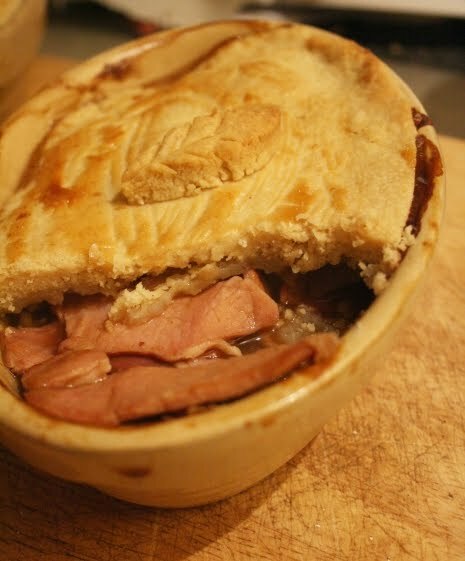 There are various variations of this pie throughout the Midlands, where they are usually called Fidget Pie. Some with cider, some with ham, some with gammon along with some additional ingredients. This pie is a traditional dish served to people working in the field through harvest. Essentially it is the Midland’s version of the Cornish Pasty as it is a portable, filling meal. It is thought to have got its name from the fact it traditionally was fitched (5-sided) in shape. The key vegetables in a fidgety pie is apples and onions which are plentiful during the harvest and of course these vegetables go well with pork. This version should have raisins in it, but I left them out as I don’t like them in savory dishes. Given this ingredient not being used it still made a surprisingly hearty & flavoursome dish. Rather than baking a pie with both pastry on the top and bottom (trying to make it slightly kinder to the hips!) I baked it in aMason Cash pie dish (made in Derbyshire). In keeping with the South Derbyshire theme I also used smoked bacon from the best butchers around – Chantry Farm Shop in Kings Newton near Melbourne. If your ever near I beg you to pop in. Their meat is second to none and well worth the trip. Hubby & I really enjoyed the pie and I was surprised as to how tasty it was. Perfect for these Autumnal evenings. Now, you can truly say that this pie has been Made in England. 1) First get started on the pastry. Sieve the flour and baking powder into a bowl then rub in the butter until the mixture resembles breadcrumbs. 2) Add the chilled water a small amount at a time and mix with a knife until you have a good dough. Roll into a ball, cover in cling film and chill in the fridge for 30 min. 3) Preheat oven to 190oc. Fry off the bacon. At the bottom of each individual pie dish line with a layer of half of the sliced potatoes, then all the onions and apple. Sprinkle with black pepper and thyme then layer with the bacon and the rest of the potato. Pour over the beef stock (200ml per pie dish). 4) Roll out the pastry until around 5mm thick. Top the pie with pastry and trim to fit. Make 2 slits in the pastry to allow steam to escape then brush with egg. 5) Bake for 20min until pastry is golden and filling is cooked. Traditionally it is served on its own, but would go well with a side of vegetables.